Appetizers (or entrees as they say in Australia) tend to be my favorite food choices at dinner parties, holiday gatherings, and sometimes even restaurants. I think it’s because most appetizers, at least in my opinion, tend to be unique compared to the main meal options, come in smaller portions so it’s perfectly acceptable to order more than one, and you’re able to pick-and-choose as you please. Is anyone else out there guilty of over-eating appetizers during the holidays? I know I am, but I’m not dwelling on it simply because I over-ate my favorites. These were the things that were worth the splurge to me, and since I was only home for two weeks, I sort-of had the “I live in Australia and miss my Mom’s cooking more than anything, so I’m eating whatever I want” mentality. A few appetizers I splurged on included my Mom’s mushroom spread, Kenyon dip(a family recipe), broccoli slaw, kielbasa casserole, oyster crackers and last but not least, cowboy crack dip. It.was.glorious. While the majority of our appetizers are family recipes made around the holidays and remain the same year after year, the cowboy crack dip listed above is an exception. The recipe was given to my Mom and me last year by one of my dearest friends Julia after we tried it at her house, and now we don’t throw a party without it. It’s that good. Don’t ask me the story behind the name but it fits. This dip is addicting. SO addicting. So take it from me, you’ve been warned. 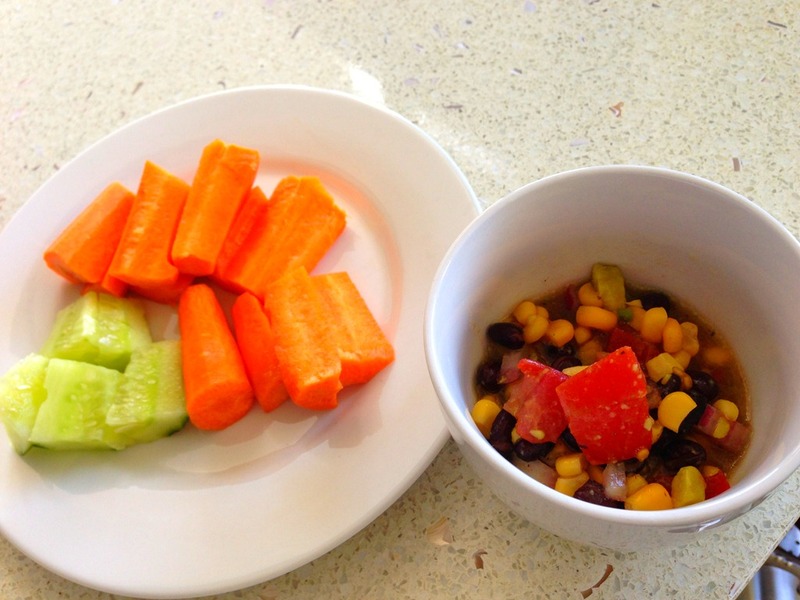 If you’re looking for a quick dip that’s nutritious and delicious, make this now. The best part is, there’s no baking required. Chop chop, lets go! 1. 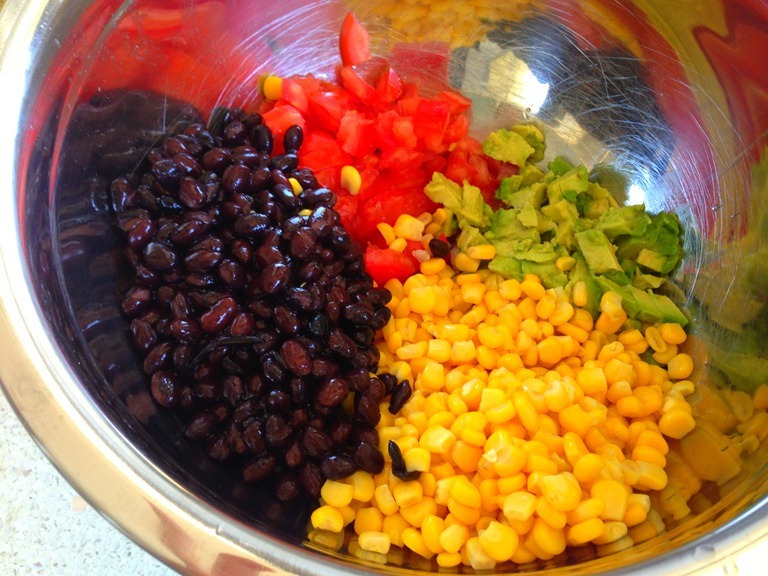 Drain beans & corn and place in large mixing bowl. 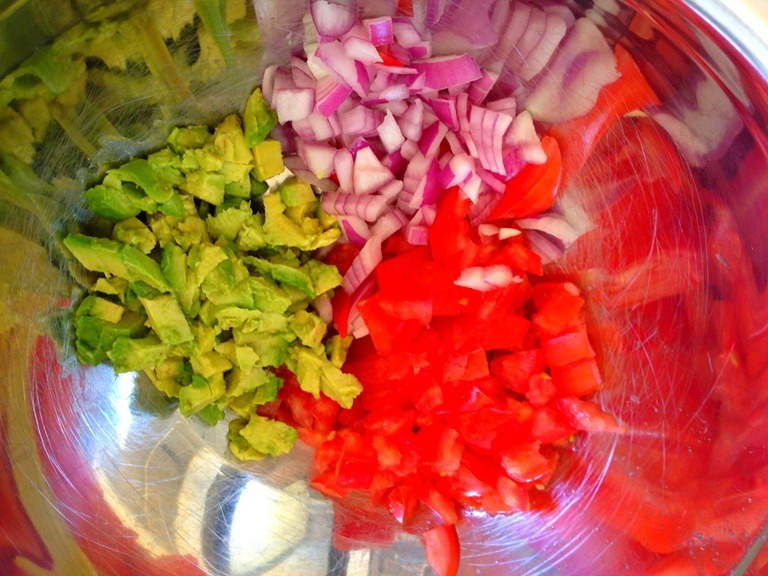 Chop onion, tomatoes, & avocado into small pieces. Mix all together in bowl. 2. 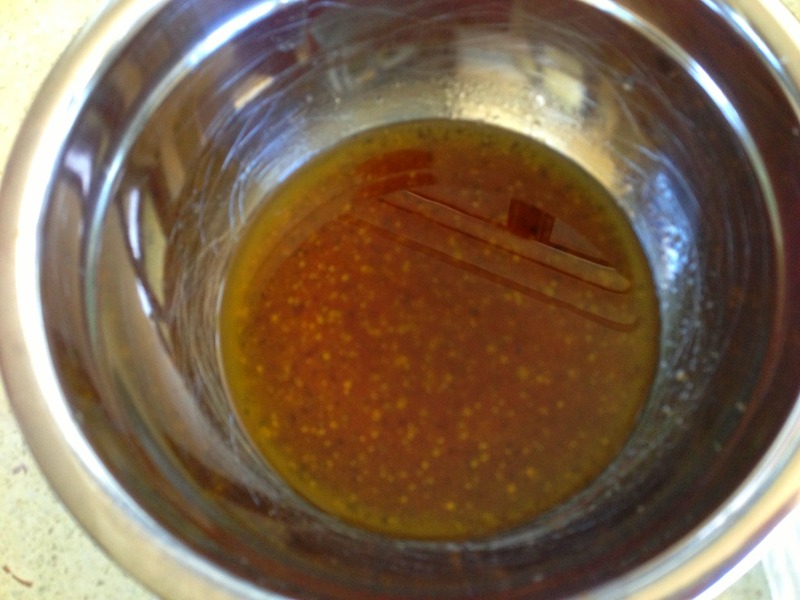 Now whisk together olive oil, red wine vinegar, cumin, pepper, salt, and sugar in a separate bowl until well blended. Then, pour dressing over mixture. For an appetizer, serve this with chips, crackers, vegetables, or eat it straight from a spoon(that’s how I like it best!). It’s even delicious on top of fresh greens. 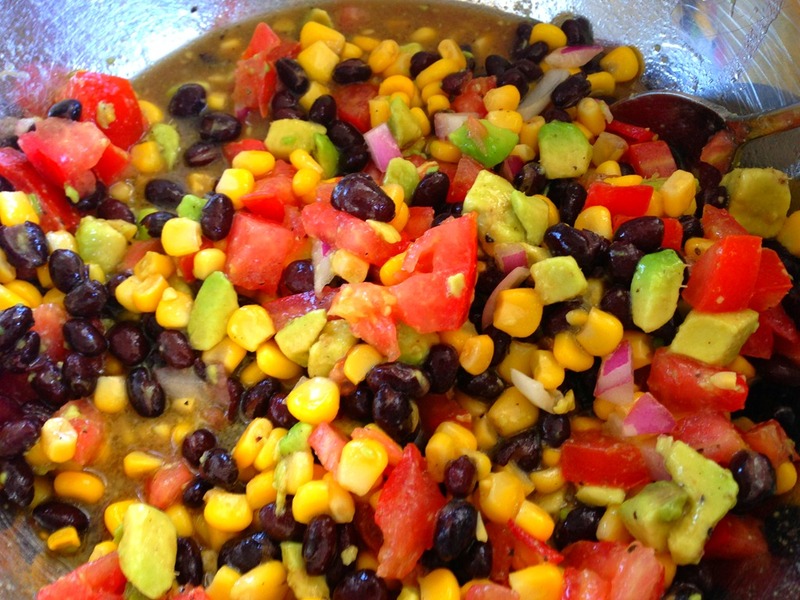 This can take the place of a salad dressing and is a great topping choice thanks to the protein from the black beans and the healthy fats from the avocado and olive oil. Plus, the longer it sits and soaks in the dressing, the better it tastes. I wish you luck on making it last in your house…it lasts two days at most in this one!